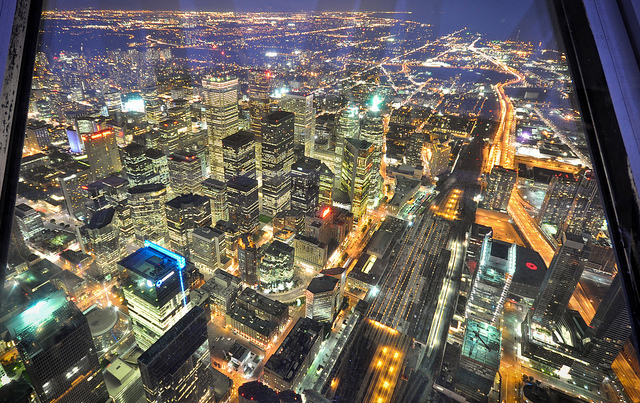 As we demonstrated earlier, Toronto looks great at night. Greg Knapp decided to cope with difficult conditions in the Skyport in CN Tower. Fighting glass reflections, internal lights, and external illumination, he made this great picture standing 447 meters above the city.